Horse dressage isn't basketball or football—but it's now Stephen Colbert's "Sport of the Summer." 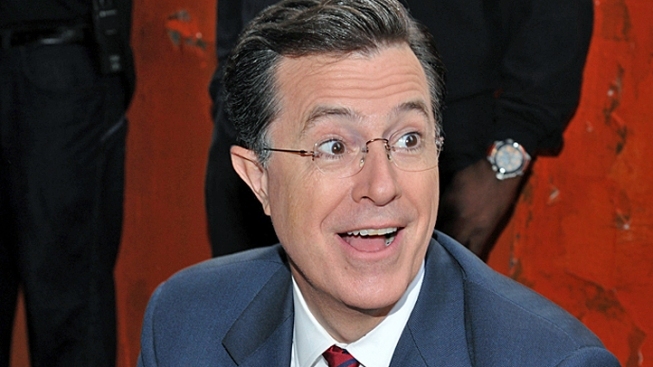 Stephen Colbert poked fun at Mitt and Ann Romney's equestrian pet. On Tuesday's edition of "The Colbert Report," Stephen Colbert opened the show with news that a horse co-owned by Mitt Romney's wife, Ann Romney, may compete in an equestrian game at the 2012 Olympics in London. "It's going to be a long drive to London on top of their station wagon," Colbert joked. Ann Romney's horse, Rafalca, placed third in the United States Equestrian Federation National Dressage Championships in New Jersey, a qualifying event for the U.S. Dressage Team in the Olympic Games. "This is exactly what Mitt needs," Colbert said. "He's had a little trouble relating to Joe Six-Pack [given] the image of Romney as a privileged princling." Horse dressage — also known as "horse ballet," as Colbert noted — will do just the trick, right?